How Will Trump’s New Tariff on Solar Panels Affect Solarize Philly? Early this week, President Trump announced a 30% tariff on imported solar modules after a suit was brought by two domestic solar manufacturers, SolarWorld and Suniva, with the International Trade Commission. 80% of all solar panels used in the US today come from outside the country, and foreign-made panels have historically been significantly cheaper. Solarize Philly, our group buying program for residential solar, ran its first phase in the second half of 2017, and offered three solar panel options, with the default option being a US-made panel at a very competitive price. 2017 prices were locked in through the end of the year, so all Solarize customers who signed their contract by October 31, 2017 will not be impacted by this new tariff. Obviously, the Philadelphia Energy Authority is disappointed that Trump has chosen to target the solar industry. We see solar as an engine for job creation, and we want federal policy that supports the industry to keep growing. Regardless, the tariff will not stop us from offering affordable solar to Philadelphians. We are certain of this for a few reasons. 1. Solar modules represent a small portion of the overall project cost. Though an important and very visible component of solar PV systems, modules (or panels) represent roughly only 15% of project costs, or “hard costs.”1 Soft costs — which include customer acquisition, permitting, interconnection and other associated costs — represent up to 64% of system costs, according to the U.S. Department of Energy.2 PEA drove down both hard and soft costs for Solarize Philly, and will continue to do so. We’ll be looking for new ways to drive down the soft costs in Phase 2. 2. We expect module manufacturers to share a portion of the increase. We work with distributors and manufacturers to plan for an entire phase of Solarize Philly at a time, to ensure we’re protecting Philadelphians from price volatility. As we are planning for Phase 2, we are finding that price increases are not mirroring the tariff. Solar is still a very competitive market and technology improves and gets cheaper all the time. Though there will be some price impact, it appears likely to be less than half of the tariff costs. As the market settles and tariff rules are finalized, we will have additional details for Solarize Philly customers. 3. The tariff hasn’t officially been put into place yet, so details are not final. Though the tariff was announced, we are still waiting for clarification from the Departments of Energy and Commerce as to whether any countries or products will be exempted. There is also the possibility of a foreign manufacturer filing a case with the World Trade Organization to challenge the tariff under international law, which could take years. As we plan ahead for Phase 2 of Solarize Philly, PEA will continue our work to keep the costs low and secure the best available solar pricing for our participants. Phase 2 is currently taking sign-ups and will begin pre-screening and connecting to installers this quarter. 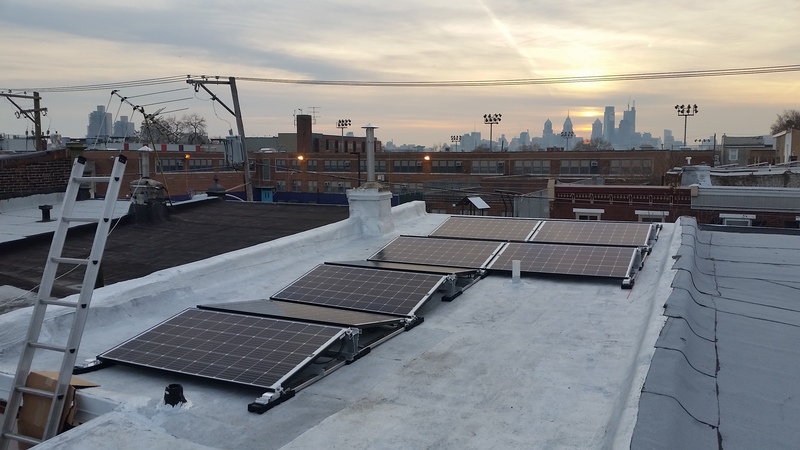 Phase 2 also includes a subsidized financing pilot to bring solar to more low- and moderate-income Philadelphians, and will be available initially for 45 eligible households, with more to follow. While there will certainly be some hit to the solar industry from this federal action, we are in a position to minimize that impact to Philadelphia’s new and growing solar community, and we are still extremely confident that now is still, and perhaps more than ever, the time to go solar. PEA is more committed than ever to making solar accessible and affordable for all Philadelphians, and we hope you’ll join us. To learn more about our program and sign up today, check out www.solarizephilly.org.